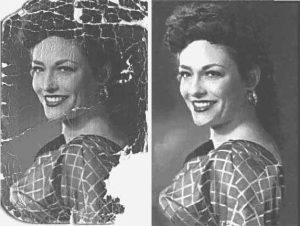 Photo retouching and restoration are Imagic’s specialties. Imagic can do just about anything with a photograph that you can imagine. 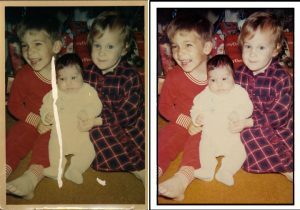 Imagic can restore your old, damaged and faded photographs. Look below to see some of the magic our expert artists and technicians can perform. Want to get your “ex” out of the picture? Want to put yourself in front of the Eiffel Tower? Would you like to colorize a black and white photograph? Imagic is your source for professional photo editing. 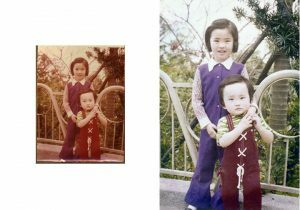 Here are some examples of our photo retouching and restoration work. 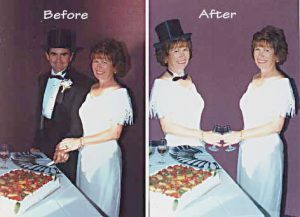 A light restoration includes color correction and minor touch up. A medium restoration includes repair of tears and restoring missing pieces as well as touch up and color correction. Heavy Restoration involves major reconstruction. Here’s an example of image editing.